ㅇ 조선 중종 때 사림파의 영수였던 정암 조광조(1482~1519년)를 주향(主享)으로 하는 심곡서원은 강당이 전면에 위치하고 사우가 뒤쪽에 배치된 조선 시대 서원의 전형적인 전학후묘(前學後廟) 형식을 갖추고 있으며, 1871년 흥선 대원군의 서원 철폐령 시 조광조를 모신 서원 중 유일하게 훼손되지 않고 현재까지 존속되고 있다. ㅇ 최근 이루어진 사우와 강당의 중수 시, 각각 1636년과 1657년에 작성된 상량문(上樑文)이 발견되었으며, 심곡서원 강당기(1673년, 송시열)와 심곡서원 학규(1747년, 이재), 숙종대왕 어제(1740년, 민진원) 등이 전하고 있어 심곡서원의 역사와 내력을 알 수 있다. ㅇ 경내에는 조광조가 직접 심은 것으로 알려진 수령 500여 년의 느티나무가 남아 있으며, 정암집 등 관련 고문서가 장서각에 보관되어 있고, 현재 매년 춘추향사와 매월 삭망(朔望) 분향 의식을 거행하고 있음. 아울러, 서원 인근에 있는 ‘조광조 묘 및 신도비’(경기도 기념물 제169호)를 통해 심곡서원의 가치와 위상을 확인할 수 있다. Simgokseowon Confucian Academy was built in 1605 (the first year of the reign of King Hyojong of the Joseon Dynasty) to commemorate Jo Gwang-jo (pen-name: Jeongam, 1482-1519), the leader of the powerful Sarim faction of literati during the reign of King Jungjong, and to hold ancestral rites. 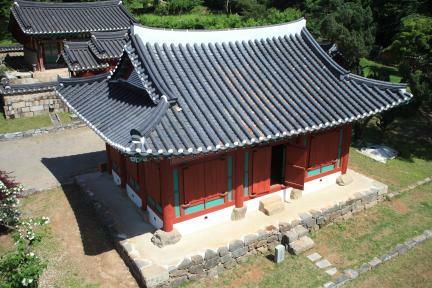 The academy was granted the plaque ‘Simgok’ by King Hyojong in 1650. 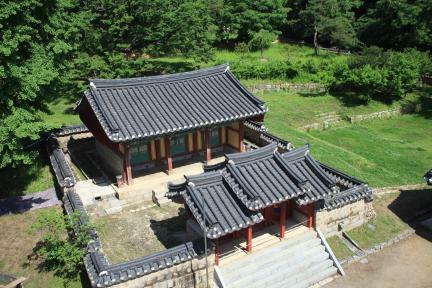 Simgokseowon, which was in charge of ancestral rites and local education, is one of the forty-seven Confucian academies that survived despite the decree requiring the abolition of Confucian academies and schools during the reign of Heungseon Daewongun. 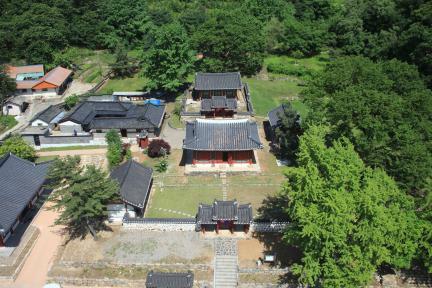 Simgokseowon features the typical structure of such academies, with the lecture hall placed in front of the memorial shrine, and the red gate with a spiked top (hongsalmun), three inner gates, three outer gates, Ilsodang Lecture Hall and a shrine arranged in a more or less straight line. 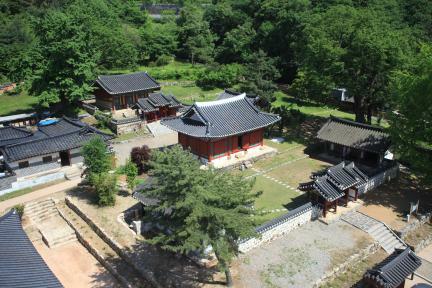 Simgokseowon Confucian Academy is of great historic and academic significance because it has retained its original structure and the exact date of its construction is known, and because it was bestowed a plaque by the king.